Downstream through evergreen tropical rainforest and beautiful landscapes. Top safety and a really good laugh. 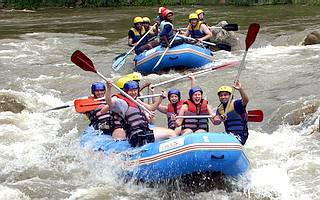 Rafting on the enchanting Songpreak River is true to say one of Thailand's best kept secrets. This challenge should not be missed. Safety is top priority on the popular rubber raft. Even for those who normally fear water, there are experienced and well trained guides to ensure that all participants are equipped with helmet and lifejacket. High laugh, scream and yells are unavoidable factors among participants, while they duel with the river forces. 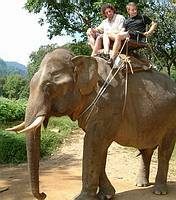 As if this were not enough excitement you should also try the All Terrain Vehicles (ATV) and elephant trekking in the rainforest. 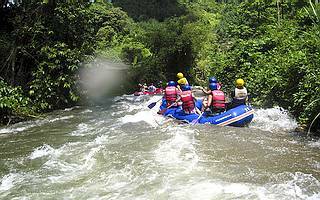 White Water Rafting depart every day from Phuket. *NOTE: The operator defines a child over 120 cm as an adult. Try to bring the child's passport, if there is a conflict between age and height. 07:30 pickup at your Phuket hotel. · The Monkey Temple Suwannakuha. 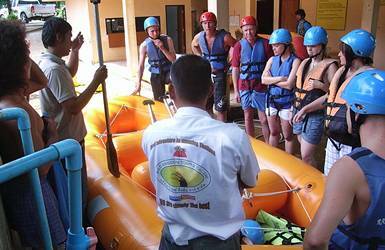 · Activity briefing and rafting training. · Whitewater Rafting 5km category 2 & 3 approx. 45 minutes Ton Pariwat wildlife sanctuary. · Lunch is served at River View restaurant. Fresh seasonal fruit for dessert and coffee or tea. 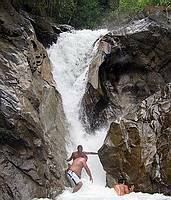 · Waterfall Ton Pariwat - take a dip under the big water tap and enjoy a short hike. 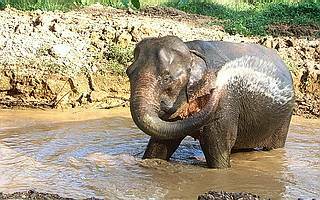 · Elephant trekking in the rainforest 30 minutes. 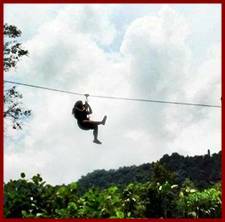 · Cable flying under the treetops 240 meters - also known as Flying Fox and Zip line. Return approx. 18:30 at the hotel. Return approx. 16:30 at the hotel. Return approx.15:30 at the hotel. 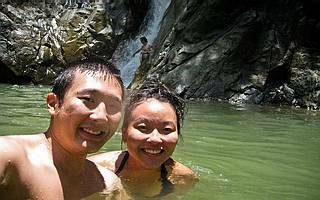 Book – Plan your Thailand vacation with the experts. 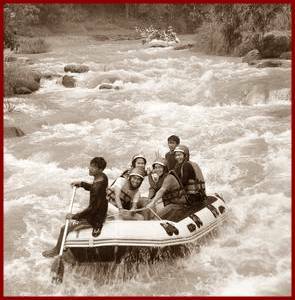 · White Water Rafting 9km category 2, 3 & 4 ca. 1h 30 min. Ton Pariwat wildlife sanctuary. Return approx.17:00 at the hotel. Ca. 10:00 pickup at your Phuket hotel. · ATV Off Road - 30 minutes of intense jungle driving through hilly jungle terrain. Return approx.18:30 at the hotel. · ATV Off Road - 1 hour. Feel sore wrists after intense jungle driving through hilly jungle terrain. Full instruction in safety and paddling technique - Healthy buffet lunch - Experienced guides in each rubber fleet - Lifeguard on land at each difficult passage - All necessary safety equipment. Bring: Swimwear, T-Shirt, Short Pants, Long sleeve shirt, Towel, Sunscreen, Camera, Sneakers / Sandals. 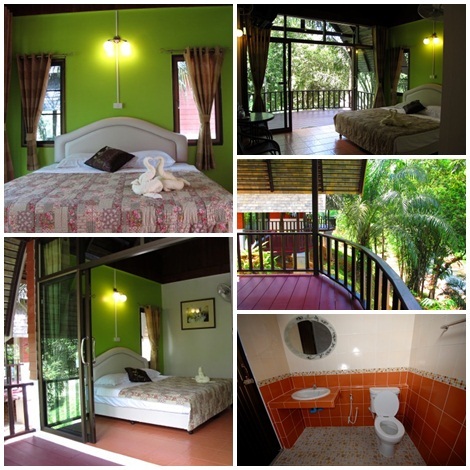 DAY 1 / 07:30 pickup at your Phuket, Khao Lak or AoNang (Krabi) hotel. · Arrive Adventure Camp Ton Pariwat wildlife sanctuary. Luggage stored if the rooms are not ready. · Resortet stå for alle aktiviteter og transporter mellem aktiviteterne. · White Water Rafting 9km category 2, 3 & 4 ca. 1h 30 min or ATV Off Road - 1 hour. Arrive approx. 16:30 at your destination. This program can start one place and finish another. 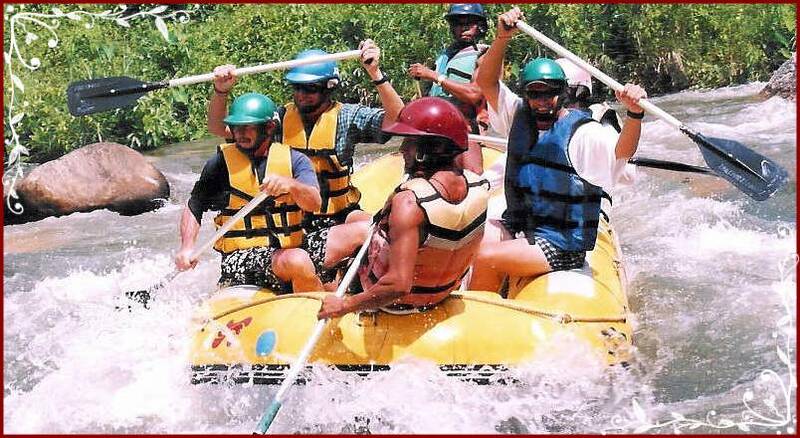 The rapids on these excursions are categorized as class 2 and 3 on 5km and up to class 4 on 9km. Class 2: Some rough water, maybe some rocks, small drops, might require manoeuvring. Class 3: White-water, medium waves, maybe a 3-5 ft drop, but not much considerable danger. May require significant manoeuvring. Class 4: White-water, large waves, rocks, maybe a considerable drop, sharp manoeuvres may be needed. A rapid's grade is not fixed, since it may vary greatly depending on the water depth and speed of flow. Although some rapids may be easier at high flows because features are covered or "washed-out," high water usually makes rapids more difficult and dangerous. Reservation to change in order due to weather conditions, instructions from the guide, and cancellations thats dictated by officials. Minor adjustments to the program may occur. What dos Wikipedia® has to say about Rafting? Book now – get what you want most and save on holiday budget. Wild Kingdom Tours is a incoming Tour Agent.